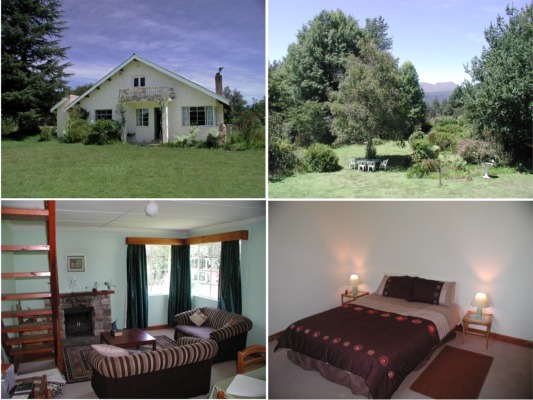 This charming cottage sleeps up to eight people comfortably, in four bedrooms. It is set in a large (5-acre) garden with Proteas, Azaleas, Hydrangeas, and much more. Relax in the garden and enjoy the abundant animal and bird life, including Samango monkeys, Knysna Louries, Cape Parrots, and more. Situated on The Bluff, within easy distance of several beautiful walks. R125 per person per night thereafter. Main bedroom with double bed and en-suite bathroom.